A great pair of children’s walking boots that will keep your kid’s feet warm and dry, and steady under foot. Read our review of the Keen Basin WP boots. Autumn, Winter, and Spring are great times of year for family hikes but those seasons can get cold and wet. 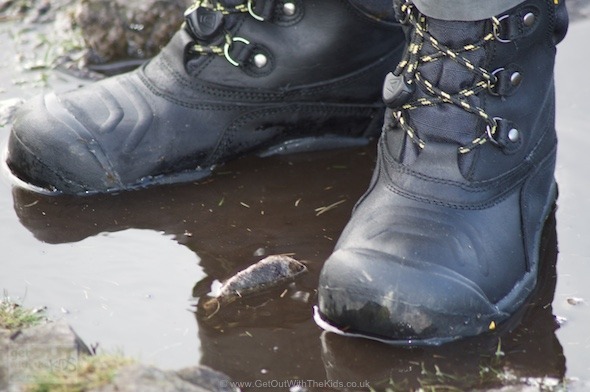 It’s important that your child’s feet are kept warm and dry, and their footwear provides good grip underfoot so that you can all still enjoy getting outside. A few weeks ago we reviewed The North Face kids walking boots, and were very impressed. 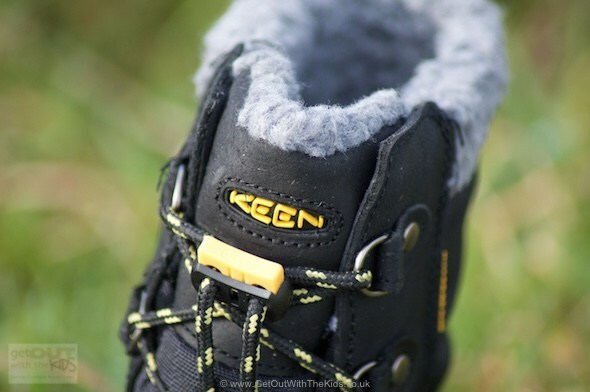 Well, it appears that TNF is not the only brand to have turned their attention to child-sized feet, and the guys over at Keen sent us over a test pair of their children’s ‘BASIN WP’ hiking boots. First impressions of these boots are that they appear to be another well-made boot. At a slightly higher price than some other children’s boots, it’s good to know that you appear to be paying for quality. The Keen Basin WP kids boots provided great support on rocky paths. The Keen boots are a little taller up the ankle than the North Face Kids boots we previously reviewed, and provide good ankle support. Ideal if you are going to be walking over uneven terrain. These boots are well insulated. 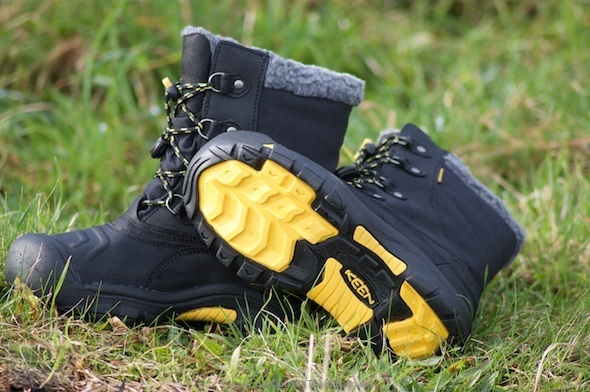 These Keen boots are insulated, making them perfect for getting outside in the colder months. Good grip on the soles of these Keen kids boots. Underneath they have good tread on the soles. 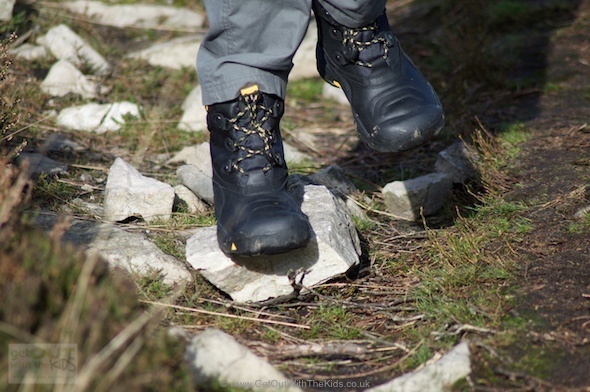 We took them out on a fairly rocky route, and the boots faired well under the uneven, wet ground, providing both good grip and ankle support. The Keen Basin WP are waterproof. The boots are waterproof, and with the insulation that runs from the feet up to the lower calf, the boots should be good for wading through several inches of snow. We have splashed around in a fair amount of puddles, and the boots did remain waterproof. Keen Boots in the snow. 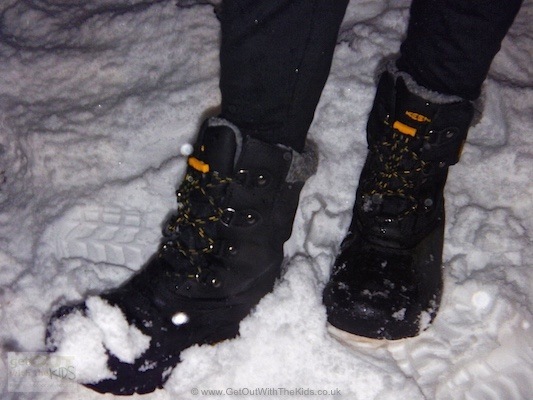 In a recent dumping of snow, the BASIN WP boots kept our daughter’s feet warm and dry. No need to tie laces on these kids boots. As you can see from the picture these boots have laces all the way up the ankle, however, there are no laces to tie. Instead, they have a bungee type system. Simply put your child’s foot into the boot and pull the laces tight against the toggle. This makes them quick and easy to get on and off, and great for kids who don’t like tying laces! Our daughter likes these boots, and they’ve certainly been good on the testing we’ve done. 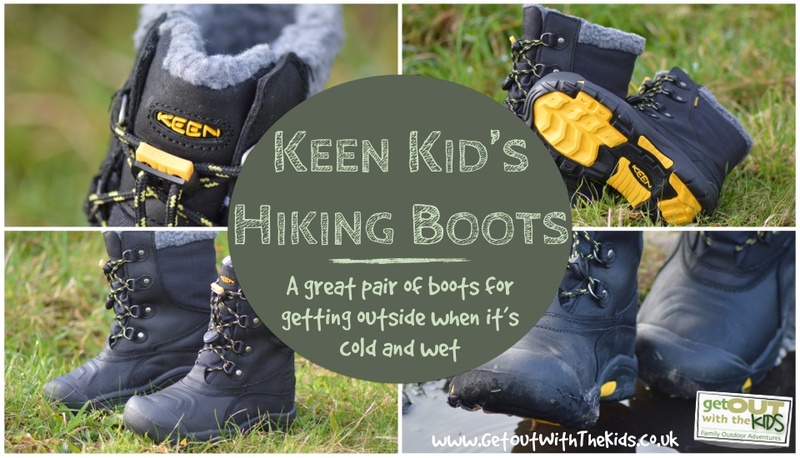 The Keen Basin WP boots get the thumbs up from us as another recommend a pair of kids walking boots. We have been really impressed with these Keen Basin-WP boots. Very easy to put on and off, keeping feet warm even on the hills in winter, and easy to get on and off. 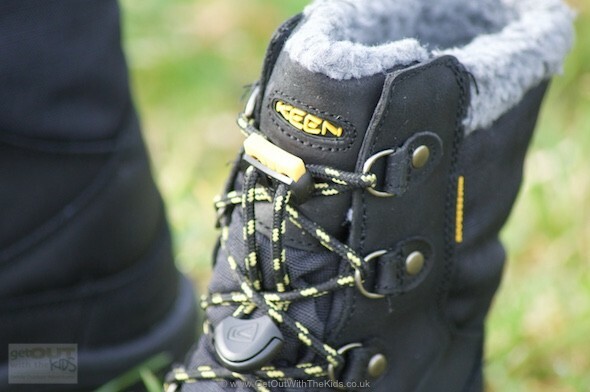 The Keen Basin-WP boots are warm, waterproof, have a good tread, and come with child-friendly laces. The recommended price is a little high, but if you shop around you can sometimes get a bargain on these proper kids walking boots.